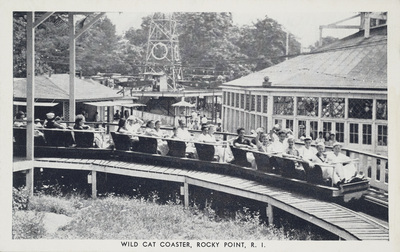 "Wild Cat Coaster, Rocky Point, R.I." by Max Latt, Providence, R.I.
Wild Cat Coaster, Rocky Point, R.I.
Max Latt, Providence, R.I., "Wild Cat Coaster, Rocky Point, R.I." (1935). Rhode Island Postcards. 338.